Unfortunately, there are many myths regarding chiropractic and chiropractors. Most of the myths are our own fault! Depending on who you talk to, you can get quite a variety of reactions. When you mention “chiropractor” you can get a mix of raving fans to downright slander. It makes sense: traditional chiropractic is as much an art as it is a science. There are many niches in chiropractic yet we all share the same title. Also, it doesn’t help we’ve got some weirdos! Nowadays, most chiropractors don’t practice simply chiropractic. Chiropractic is a treatment tool — just one of the many therapies at our disposal. Here are five common chiropractic myths needing to be set straight! Have you ever had a bad experience at a restaurant, so you stopped going to restaurants? Yes — said no one ever! “Restaurants” is a pretty broad demographic, but it’s not far off regarding chiros. Just like there are specialties in medicine, e.g., cardiologist, neurologist, endocrinologist, pediatrician, etc., chiropractic physicians have specialties as well. Not every chiropractor is the same. Your experience with one chiropractor could be dramatically different from another. A few notable chiropractic board certifications are radiology, internist, sports physician, rehabilitation, neurology, acupuncture, and nutrition. One of the common myths is chiros only treat spine pain — this is far from true. As mentioned, there are many flavors of chiropractors. Depending on the practitioner’s specialty, chiros can successfully treat a variety of ailments, including but not limited to: jaw dysfunction, headache, hormonal imbalances, nutritional deficiencies, digestive disorders, and other muscle/joint/tendon/ligament issues of the body. Oh, if a chiro claims to “fix” all of those just by “aligning the spine,” run. Fast. A great chiropractor will always perform a thorough history and examination to understand what your condition(s) is actually costing you — concerning function and lifestyle — and how to achieve a solution. When a great chiro determines it’s out of their scope to treat an impairment effectively, they will refer you to the appropriate trusted professional. Your Plymouth, MI Chiropractors can solve many problems, but would have to refer out for this one! Stereotypes exist for a reason, so this myth is not an entirely false sentiment. However, going back to my first point, all chiros are not created equally. Brinjikji et al¹ demonstrated very little correlation between structural findings and low back pain, whereas psychological variables were more predictive of low back pain. There is no credible evidence suggesting you should have your spine adjusted on a regular basis to achieve greater health. Shilton et al² revealed there was no significant change in neck alignment in patients after four weeks of cervical spinal (chiropractic) manipulation. Don’t get me wrong, performing regular maintenance on your body is crucial, but that doesn’t mean you need to rely on a chiropractor to adjust you weekly! Self-care, e.g., foam rolling, home exercises, nutritional habits, and optimal lifestyle choices should be of primary focus — it can go a long way. Teach someone to fish rather than give them a darn fish. Teaching someone how to be self-sufficient by managing their own problems is monumental compared to relying on someone’s “magic” hands. Time and time again the topic of the chiropractic adjustment causing stroke catches wind but the sail always falls flat. Its own article is needed to delve into the conspiracy theory of why negative press regarding the topic of chiropractic and stroke regularly regurgitates. Previous studies exhibit correlation, not causation, cynically stating you have a better chance of getting struck by lightning more than once in your lifetime than a neck adjustment setting off a stroke! Plain English: strokes occurring after a visit to the chiropractor occur from patients that are already high risk for stroke. An incident could have occurred in another doctor’s office or even at home, regardless of the chiropractic adjustment. Another one of the myths busted. Okay, what part of “chiropractic” doesn’t work for you? Did it not “fix” you? If you’re expecting chiropractic to magically fix you, yeah, it works — in the land of rainbows and unicorns! What you are seeking to achieve ultimately relies on your expectations, understanding the process of the treatment plan, and why you’re doing what’s planned, which is highly dependent upon the practitioner’s communication! Briefly stated, I help my patients understand what a treatment plan looks likes, what to expect, and what’s expected of them. When the correct tool is applied to the appropriate problem, chiropractic most definitely works. However, this can only be done based off a thorough assessment. 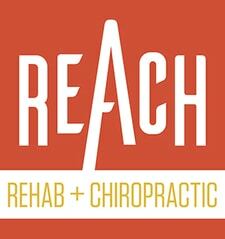 The REACH chiropractors serving Plymouth, MI — credentialed in the McKenzie Method of Mechanical Diagnosis & Therapy — employ an effective and reliable mechanical assessment to determine what a problem is and how it behaves, so the right tool can be applied to the appropriate problem to achieve a solution. I’m still flabbergasted this one is even a thing. The definition of “Doctor” is quite broad, originally rooted in Christianity. In it’s simplest form, a chiropractor has a doctorate level degree in chiropractic, hence the title doctor. If when you say, “you’re not a real doctor,” you’re referring to a physician or medical doctor, then yes, we’re not “real” doctors and were not trying to be one or play one on TV. For crying out loud, can we just put it to rest? Brinjikji W, Luetmer PH, Comstock B. Systematic literature review of imaging features of spinal degeneration in asymptomatic populations. AJNR. American journal of neuroradiology. 36(4):811-6. 2015. Shilton M, Branney J, Penning de Vries B. Does cervical lordosis change after spinal manipulation for non-specific neck pain? A prospective cohort study. Chiropractic & Man Thera 2015; 10.1186/s12998-015-0078-3.